DTH vs Streaming Apps - Which is a cheaper option ? Home / Technology / DTH vs Streaming Apps – Which is a cheaper option ? DTH vs Streaming Apps - Which is Cheaper ? One of the events that happened recently was between Telecom Regulatory Authority of India (TRAI) and the DTH services providers. DTH service providers have long been charging high amounts and showing channels that you probably never see. I was an Airtel Digital TV customer since 2010. I bought the connection when I was in Noida and paid a monthly rental of Rs 180 back then. Since then, the connection moved with me to many places and finally landed in Hyderabad. DTH vs Streaming Apps wasn’t even possible during those days ! With the hunger for good video quality increasing, I opted for all HD channels pack which increased my monthly rental to 400 Rs. Fast forward to 2018, I was paying almost 600Rs a month, of which the HD channel pack was only Rs 300 or so. I’m sure the increasing costs and the lack of flexibility in choosing channels, TRAI forced in a a la carte option where you can choose only those channels that you want to see, capping the base price at Rs 100 per month. But that didn’t go well with the providers and led to a lot of confusion which in turn led to me ditching my Airtel Digital TV for Streaming Apps. 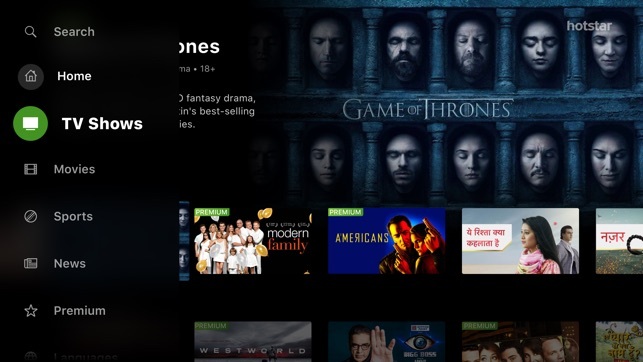 It’s been a few months since disconnection and in this post I’ll talk about DTH vs Streaming Apps – Which is a cheaper option ? DTH vs Streaming Apps – Which is Cheaper ? From the service point of view there were no worries. Rarely I had to connect with the customer care for any issues during the 8 long years when I was their customer. However with the new Digital TV regime kicking in, everyone from users to service providers were confused about it. I had no idea as to how would that work, and Airtel on their part too had no idea how would that work. Abiding by the TRAI notice, I requested for a change of pack during the last week of January. with the a la carte option, my monthly rental had come down to around Rs 350 ! I was ecstatic. Few days passed, weeks passed and Airtel didn’t update the pack. Multiple queries to their customer care on Twitter responded “We are working on it“. Meanwhile I was bombarded with messages to recharge to prevent black out. Now, if I’ve changed the pack, why should I pay the old amount ? That’s it, that was the time I decided to ditch Airtel Digital TV and move to streaming apps. 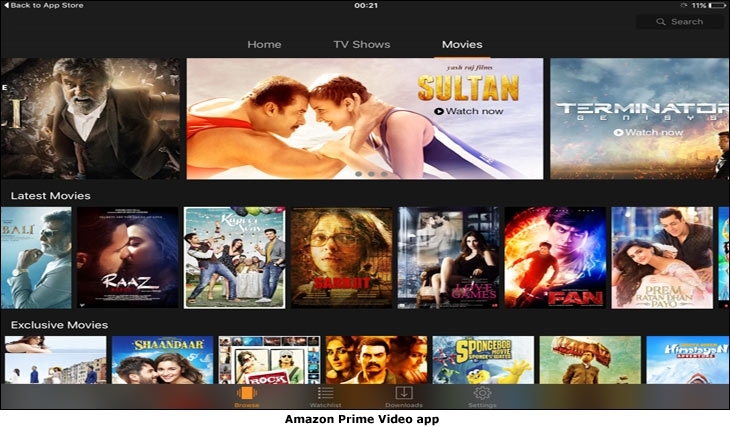 Read on to find out whether streaming apps are cheaper than DTH or not ! Streaming Apps vs DTH – Which is cheaper ? Before I dig in, let me tell you my requirements in terms of the channels. My family watches a couple of shows on Sony SAB, Kapil Sharma and news, that’s it. The TV runs only from 8pm to 9pm daily during dinner. When I’m home, I either spend time watching live cricket matches or YouTube videos. Considering that, Airtel Digital TV’s charge of almost Rs 600 was way too much. So what were the streaming app options for me ? Which streaming apps to choose which will be cheap and you still get everything ? Below are the apps that I use along with their pricing and benefits. Sony Liv – Currently on Half Yearly subscription, paid about Rs 299 for it. Able to see live channels for Sony, Sony SAB, Sony PAL, AXN and many more.The app also provides some OTT videos and movies that are exclusive to Sony Liv. Also in this pack, I get to see all the Sony Six channels which means my live matches issue is sorted. Hotstar – Got the annual subscription for Rs 999 which gives me access to live star channels along with tons of exclusive OTT videos and movies. Also I have access to all Star Sports channels in High Definition. So all my sporting needs from Cricket to Tennis and F1 occasionally are satisfied. Amazon Prime – I’m already an Amazon Prime customer and use their annual service for Rs 999. That not only gives me access to one day delivery, but also gives me access to Amazon Prime Music and Amazon Prime videos. I’m able to see all the movies and exclusive videos along with Sitcoms with this. Few months back I gifted myself the Amazon FireTV stick and have been in love with it since then. The video quality is superb and the experience is great. Running on Android, it allows be to install all the apps that I’ve mentioned above. So all I’ve to do is to start my FireTV and tap to the app start watching live TV ! But wait, you would be curious to know about my internet pack ? I’m an ACT Fiber user and they are probably the best in Hyderabad. (Note the word probably) On their 1050 plan, I get speeds of up to 100mbps with a monthly data limit of 750GB. Even with streaming HD videos on my FireTV stick I’m barely using 10% of my allotted data. And I pay about 1200 Rs a month towards internet. Amazon Fire Stick with the voice controlled remote. Final Verdict ? Well, the answer is clear, streaming apps are much cheaper. For instance, if I subscribed to an Airtel Pack with all HD channels I’d pay around Rs 600 a month incl taxes. For a year that would be Rs 7200. Even if you purchase a 12 month pack, it would not come down below Rs 5000. With my set of streaming apps, I’ve paid Rs 299 for Sony Liv for 6 month access and Rs 999 for Amazon Prime. I’m not counting Hotstar because I currently have a 1 month subscription for viewing live matches and IPL. Assuming annual subscription for all Sony Liv, Hotstar and Amazon Prime, you would be paying Rs 3000 a year. That’s almost 50% less that what Digital TV would cost.